Safety is an important factor in the workplace. 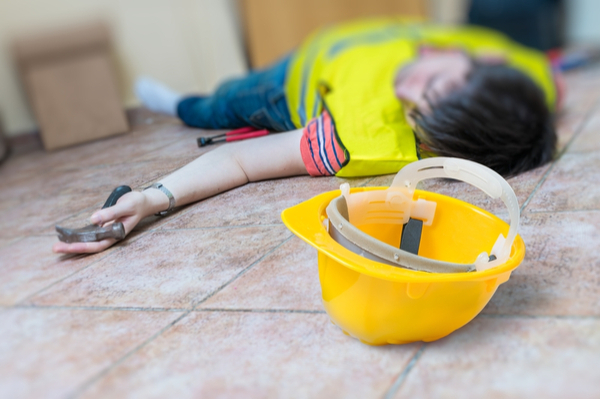 It is important for business owners to deal with possible cases of work-related injuries and illnesses. Employees may not be directly injured to accidents, but repeated inhalation of harmful chemicals and particles in the workplace may result in long-term illnesses. So, it is important to make sure that employees are well educated on how to perform proper safety procedures. They need to know on how to handle machinery properly. Dangerous situations should be handled quickly and efficiently. Companies may need to provide proper training sessions to make sure that any kind of occupational hazard can be prevented. Repeated accidents may result in unnecessary overhead costs. We should make sure that there are repeated educational activities in the workplace that can teach employees on how to safely work in their environment. This should allow them to eliminate many kinds of common risks associated with their health. They should know about the importance of safety policies, which need to be proper implemented. Once employees become more responsible to their well being and health, business owners can ensure that the level of occupational injuries and illnesses can be minimized to the lowest level possible. The type of safety procedures for your employees could depend on the nature of their activities. It is important for them to know how to handle forklift trucks and dispose chemicals in the most appropriate way. Safety training should be provided to the employees. They need to comply with various environmental regulations and any essential issues. Training courses should be appropriate in certain circumstances. When interns and new employees join your company for the first time, it is important to inform them about common risks that will be associated with their tasks. They should be aware than increased amount of work could cause a variety of risks. New employees should be informed about this kind of danger. Each time a new equipment is purchase, you may need to perform a new safety training course to make sure that all risks are properly identified. It is important to make sure that everyone in the company can benefit significantly from your training courses. After attending these courses, workers could feel confident enough with what they do. They will be able to reduce common risks associated with their tasks. They may even find the most appropriate method to waste less resources while doing things much more safely. Work-related injuries and illnesses may result in expensive lawsuits, so it is important for business to address all safety issues from the day one. This includes giving everyone in the company proper safety training. There should also be comprehensive workshops and refresher courses that can provide added safety level for everyone. Any kind of high quality safety training is one thing that many employees should get. They deserve to have the safest possible training sessions and well organized work environment. Business owners need to have a workforce consisted of healthy, motivated and highly experienced individuals.